Thank you for participating in this year's Boy Scout Expo StarvingStudentCard fundraiser! We hope that you take advantage of this great opportunity to earn funds for your unit while helping our district raise funds for programs, activities and other expenses needed throughout the year! 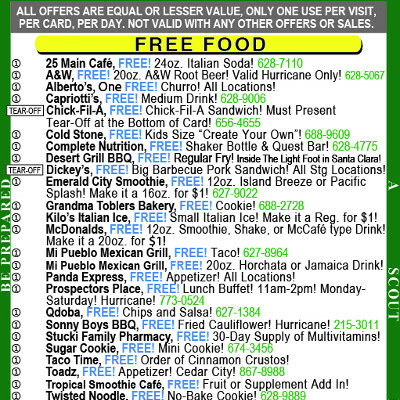 Look at the "Expo Card Calculator & Cost Estimator” sheet, choose the activities you would like to participate in. Add up the cost and then make a goal of how many Expo StarvingStudentCards your unit needs to sell. On January 8th, units can begin to sell their cards. Sign out 5 Cards per Scout, have them initial and tell them they are responsible for their safekeeping. Have the Scouts team up in pairs, or go as a group and do a blitz around the neighborhood. Take turns as to who gets the credit for each sale. Sell 5 tickets to get your name entered to win one of the awesome prizes! Get your name entered 1 time for every 5 tickets you sell. Sell 10 tickets to get your names to entered into the Disneyland drawing! Get you name entered 1 time for every 10 tickets you sell. Have Scouts track the names and phones number of the individuals purchasing cards. These individuals can then be approached again next year. 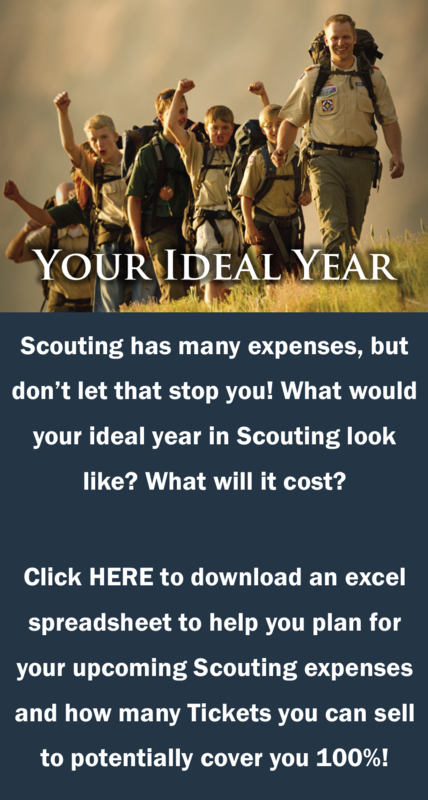 As your Scouts sell Cards and turn in funds, always record their progress on the Scout Tracking Sheet. Sign out more Cards as needed. If more Cards are needed you can go to the Scout office. To qualify for prize drawing all tickets must be turn into the St George Scout Office (204 N 1000 E in St George) no later than Tuesday, February 20. Unsold Cards and ALL funds collected ($20 per card sold) are due back to the St. George Scout Office on or before Tuesday, February 20. The unit commission ($10 per Card sold) will be given to the scout unit. These funds could be used for camp, NYLT-Timberline, awards, Scout books, camporees, district events, supplies and gear etc.